Empowering the everyday GLAM GAL to LIVE HER BEST LIFE; Mind, Beauty and Relationships! Have you ever found your life to be out of order? Life is good, but you feel like you’re in a constant game of catch up, trying to clean and organize! Well that is exactly how I felt for the first few months of 2016. Yes, months! The struggle was real, until I took a real look in the mirror and asked myself, “What are you going to do about it”. Well, I put these 3 simple steps to work in my life, and have had great success! So you know and I am here to share the wealth with you! Let’s win together! 1. Get Rid of Waste: Toss/trash/shred all of the things that no longer serve a purpose in your life! Those “things” may be old papers, old clothes, boxes…etc. For me, I had to bring myself to throw away old makeup containers. (Judge me not!) I had to literally go through my entire makeup vanity, and decide what needed to go. And then I had to actually complete the process by throwing it away (that’s key)! I couldn’t believe the junk I was holding on to. Like seriously, did I need to keep that empty tube of ruby red lipstick from 3 years ago? A whole mess. For you it may be sorting through that pile of mail, organizing your accessories, or cleaning out your closet. For others it may be setting a cleaning schedule for your home, so that the cleaning/organizing is done on certain days. Whatever it is, set a date with yourself, and get it done! Put on some great music, and get rid of the unnecessary things are cluttering your fabulous life! 2. Everything in it’s Place: Once you’ve taken inventory, and trashed the clutter, assign a “place” for your belongings. This will help you keep your place organized and peaceful. Listen, after a long day of work I’m guilty of dropping a trail of clothes around the apartment. However, I had to re-train my mind to put things back in their places. Dirty clothes in the laundry bin, coat back on the hanger IN the closet, makeup brushes in their case, and keys on the key ring. This will take a bit of time and effort at first, but the payoff will be well worth it! 3. Organize in Doses: Make a list of what needs to be done, and tackle one room/project at a time. Don’t overwhelm yourself trying to do it all in one sitting. God forbid, that you start 5 projects and don’t finish any of them. That is not your portion! Think it through, and give yourself the time to do what’s needed. The ultimate goal is to life a life of order, and that starts with strategic changes that will eventually turn into great habits! So take it one step at a time! So powerful. Easily said AND done and these are perfect steps. I am also guilty of that clothing trail lol. I am starting on Monday! Thanks girl! Cheers to the start of a fabulous lifestyle of order!!! 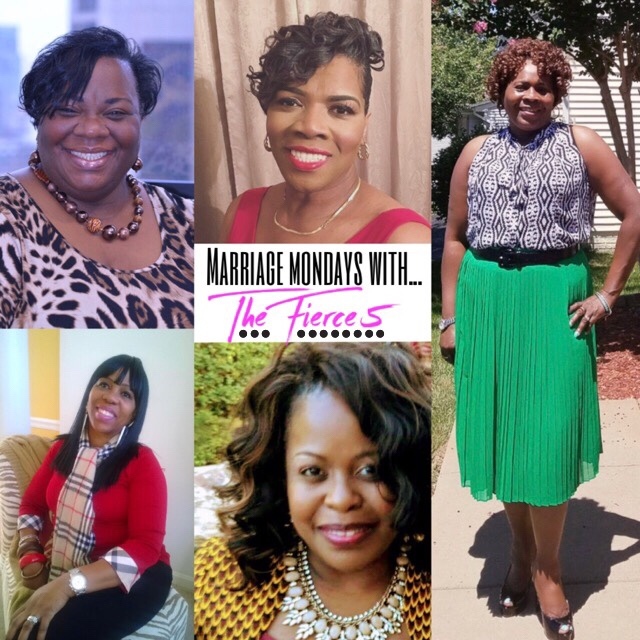 5 ladies all married for 20+ yrs, 5 questions, 5 different perspectives! Click here to get your entire life! Whether you're married, engaged, or a wife in waiting this series is for you! Click and Enjoy! 3 Lessons we're learning as newlyweds. Click here to read all about it! Oh, and don't judge me for #3!